At the start of the 21st Century, non-animal techniques have become the cutting edge of medical research. Animal experiments are being replaced by a range of alternative methods that frequently prove cheaper, quicker and more effective - as well as saving lives. 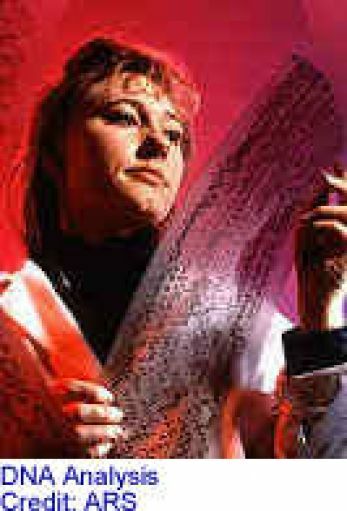 It is possible to obtain human cells and tissues from biopsies, post-mortems, placentas, or as waste from surgery, and grow them in the laboratory. Cell cultures are used in many medical fields, and have contributed enormously to our understanding of the underlying mechanisms of cancer, Parkinson's disease, and AIDS. 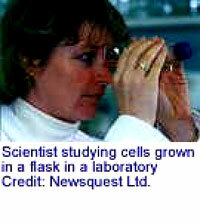 Cell cultures are routinely used in vaccine production, toxicity testing, drug development and to diagnose disease. [break]It is important that human cells, rather than animal cells, are used for medical research, to avoid the problem of relating results from one species to another. To encourage the use of human tissue the Dr Hadwen Trust has helped establish the Human Tissue Bank at Leicester. The Trust has funded research using human cells and tissues to replace animal experiments, into Alzheimer's disease, cancer, rheumatism, cataracts, allergies, meningitis, and more. Technological advances are resulting in new and improved molecular methods for analysing and identifying new compounds and medicines. The Trust has provided analytical equipment to researchers selecting new anti-cancer and anti-malaria drugs, based on their molecular interaction with DNA, as an alternative to selecting drugs by animal tests. Research at the molecular level is being used to understand the biochemistry and genetics underlying various illnesses, and leading to better treatments. A Trust researcher is using newly devised technology to rapidly analyse DNA from patients all over Europe and identify genes that predispose individuals to fibrosing lung disease. This approach is an alternative to modelling the illness in animals such as genetically modified mice. Tests with simple microorganisms, such as bacteria and yeasts, are being used as early indicators of chemicals likely to be harmful, and are frequently faster, cheaper and more humane than animal tests. 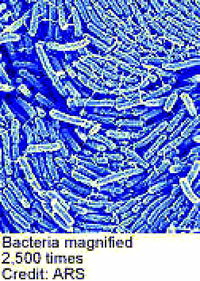 Bacteria can be genetically manipulated to manufacture useful products previously obtained from animals, such as human insulin and monoclonal antibodies. The Trust's research into diabetes successfully used a microscopic organism called Hydra, as an alternative to diabetic animals. Whilst another Trust researcher has developed a test-tube method of growing the microbes responsible for causing sleeping sickness, a fatal tropical illness, replacing the mice normally used for research into this disease. Computers are increasingly being used to model the structure and actions of new drugs, and to predict their safety. Computer models of whole biological systems are now being developed on which experiments can be conducted, as alternatives to experiments on animals. The Trust has funded research on various computer models including a model of the human placenta and foetus to study problems affecting unborn babies; and a model of the human jaw and teeth for dental research. These models are based on relevant human data and can be used to carry our simulated experiments, in place of experiments on animals. We have also supported work using mathematical modelling to improve cancer treatments, and to explore illnesses of ageing. Studying the diseases in human populations, and the effects of lifestyle, diet and occupation, has already revealed a great deal about cancer, heart disease, osteoporosis, and birth defects. Such information is vital to improving human health and providing clues to the causes of illnesses. The Trust is funding part of a large population study into how fetal and infant growth influences the development of heart disease in later life, as an alternative to experiments on pregnant animals. 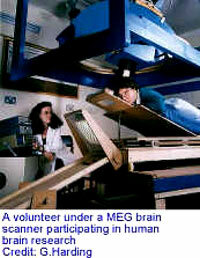 One of the best ways to conduct medical research is by studying the whole human being. New scanning and imaging techniques are making it increasingly possible to conduct safe and ethical studies of human volunteers, where previously animals had been used. Trust projects use a variety of sophisticated imaging techniques to non-invasively investigate the intact human body. These include using a MEG scanner to study epileptic patients; investigating pain in patients with fMRI; and developing a novel technique, TMS, to study the function of the human brain in healthy volunteers. At Southampton Hospital, Dr C Martyn is developing and validating non-invasive methods of studying the arteries of young children, as part of a larger investigation into how foetal and infant growth influences the development of heart disease in later life. This is an important study providing vital information about human cardiovascular disease, and is an alternative to experiments on rats, guinea pigs, sheep and pigs. Children are particularly susceptible to meningitis, and infection can prove fatal. Animal research into meningitis involves infecting infant rats and mice with the bacteria that cause the disease. As an alternative to animal experiments the Trust is funding research at Nottingham to develop a human cell culture system for studying meningitis infection. Human cells, obtained from patients undergoing brain surgery, will be used to develop a new in vitro model to investigate exactly how the meningitis bacteria invade the human brain and cause disease. A Trust Fellowship will support a dedicated researcher at the Royal Brompton Hospital in London for 3 years to study the genetics of fibrosing lung disease. Lung disease is often modelled in animals, such as mice, rats, rabbits and hamsters, although such models do not directly reflect the human disease. Our study will relate specific genes to lung disease and disease severity in humans, and thus identify key disease processes without animals. Animals are used extensively in pain research, primarily rodents but also dogs. A Trust Research Fellow at the Oxford Centre for Functional Magnetic Resonance Imaging of the Brain is studying human pain in volunteers, using fMRI, a non-invasive brain scanning technique. The research aims to identify areas of the brain involved in the perception of pain and to investigate how some of the commonly used painkilling drugs work, as well as studying potential new painkillers without animals. At University College Dublin a Trust-funded project is developing long- lived co-cultures of different types of human kidney cells for use in long term toxicity studies. 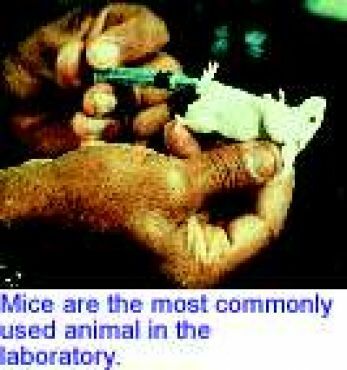 At present animal tests to study the effect of chemicals and drugs on the kidneys are conducted in rodents, rabbits, dogs and pigs. 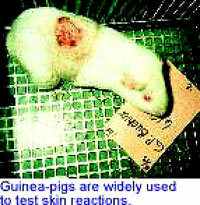 The animal tests can last from 1 hour to 80ndays. Studies of the human kidney cell cultures will also provide information about the mechanisms of kidney disease and end stage kidney failure, and could help to find new treatments. A PhD student at Glasgow University is exploring the use of genes to alter the radiosensitivity of normal and cancer cells. The cells are grown in the laboratory in the form of "spheroids" - little balls of cells. Genes are added to the spheroids, which are then exposed to radiation and cancer drugs. The results will show if such treatments could be effective. Mathematical models will also assess new treatments before trials in patients. In other laboratories new cancer therapies are investigated in mice implanted with pieces of human tumour. At Amsterdam University Medical Centre, Dr Das is using human tissue to develop a non-animal test for skin sensitisation. Toiletries, cosmetics and household products are currently tested for allergic skin reactions on guinea pigs, mice and pigs. This research aims to develop an alternative non-animal test. The Trust is a Major Sponsor of the NORINA database of alternatives to animals in education. This enormously useful resource is the largest database of its kind, and is freely available on the Internet at oslovet.veths.no. NORINA provides details of interactive videos, CD-ROMs, computer programmes, 3-D models, slides and charts suitable for use in schools, colleges and universities. Animals continue to be used extensively in education, and species used include mice, rats, hamsters, guinea-pigs, gerbils, rabbits, cats, ferrets, chickens, frogs and fish. NORINA provides a wealth of information on alternatives and should prove a useful ally for students seeking to obtain a humane education. The Trust helped to fund the very first centralised Human Tissue Bank to store and distribute human tissues for research to scientists throughout the UK. The Tissue Bank at Leicester is an important initiative that aims to provide a reliable source of human tissues for research, and make research with human tissues a viable option to the use of animals. Thanks to the generosity of The Body Shop Foundation, this PhD research studentship is taking place at the University of Birmingham under the direction of Dr Janet Lord. The body's immune system, vital for fighting disease and maintaining health, declines in efficiency as we age. This makes elderly people more prone to illnesses and infections. This research project will investigate this decline and changes in cells of the human immune system, obtained from blood samples taken from elderly patients. The research is an alternative to studying mice, whose immune systems are purposely damaged by radiation, burns, infections, or induced autoimmune diseases. 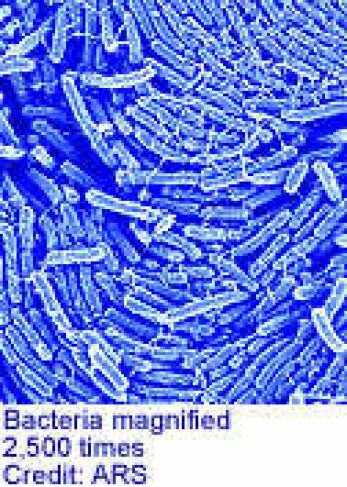 Scientists at the Central Public Health Laboratory in London are developing a non-animal method of identifying disease causing bacteria using a sophisticated analytical technique, called MALDI-ToF mass spectrometry. This novel approach could replace the use of rabbits, which are currently used in the routine identification of infectious bacteria, viruses and parasites. As well as being humane and replacing animals, mass spectrometry has the advantage of being an accurate, reproducible, and fast method of analysis. Professor Tom Kirkwood at the University of Newcastle is developing mathematical models of ageing. A Trust-funded PhD student is helping to devise computer models of how genetic and environmental factors interact to influence ageing. 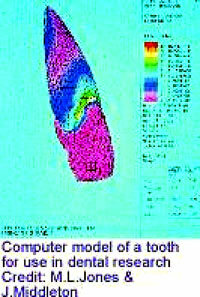 Theories developed from these models can be tested by studies of human populations. The genetics of ageing is a rapidly growing research field, and theories are likely to be tested in populations of rodents, involving experiments on large numbers of animals. This timely research project will demonstrate that alternative research strategies, such as computer modelling, can be effective in replacing animals. Animal derived antibodies are widely used as biological reagents in many laboratory tests. At present polyclonal antibodies can only be obtained from immunised animals, that include rodents, rabbits, guinea-pigs, cows, pigs and goats. The Trust is funding research at the Cardiff University, to create totally synthetic antibodies to replace antibodies from animals. Research into migraine and anti-migraine drugs uses cats, pigs and monkeys. These experiments can involve highly invasive procedures to the brain after which the animals are killed. As an alternative to animal research, the Trust is funding studies of human volunteers at Lancaster University. A Trust Research Fellow will be using innovative technology, including TMS and genetic analysis, to identify and study human sufferers of migraine. TMS could prove to be a useful tool in the study of human responses to anti-migraine drugs. At Guy's Hospital, London, Trust-funded scientists are studying the basis of kidney failure in patients. Blood samples collected from patients and healthy volunteers are analysed with test tube techniques. This research will increase our understanding of kidney failure without using animals, and may identify a useful marker of successful kidney transplantation. The research is an alternative to studies in animals, most commonly rats, who have their organs damaged to induce kidney failure. Animal tests are widely used in drug development. A range of different species are used to investigate how a drug is handled and cleared from the body. 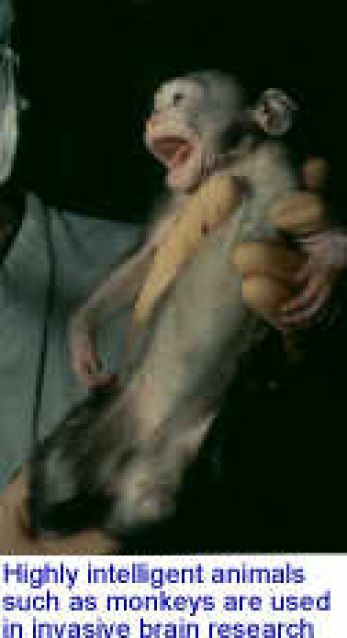 Rodents, rabbits, and dogs are usually used in these tests, but sometimes sheep, cats, baboons and monkey are used. The Trust is supporting the development of a computer model at the University of Sheffield to predict how drugs will behave in humans. The model is based on data from test tube studies of human drug metabolism, and aims to produce better results that unreliable animal tests.